After my foray into charcuterie with the chorizo and finding that my porch is perfect for air drying meat during the cooler months, I decided to try a whole muscle cure. Reading Tim Haywards excellent book Food DIY he suggests starting off with a duck breast as these have a short curing and drying time and as such there is less chance of anything spoiling. 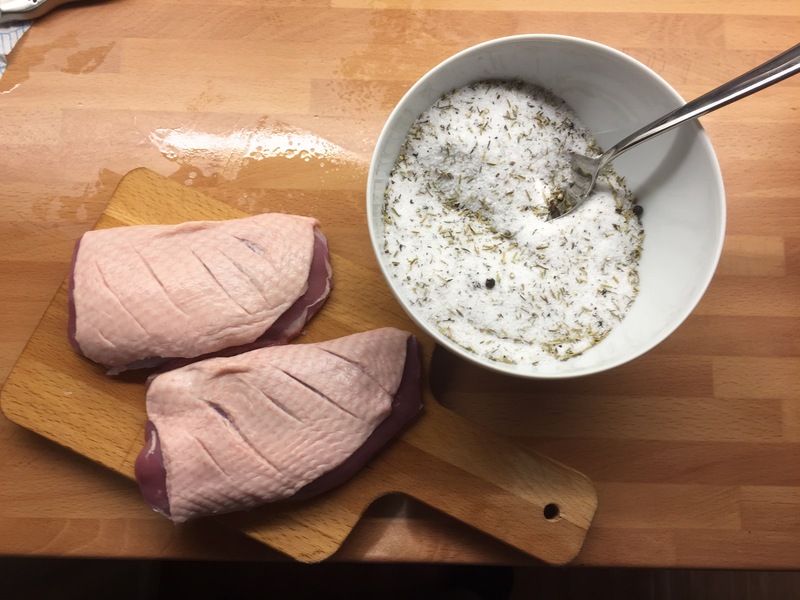 I trimmed up two duck breasts to make sure there wasn’t too much fat on the meat then mixed up salt, thyme and peppercorns. 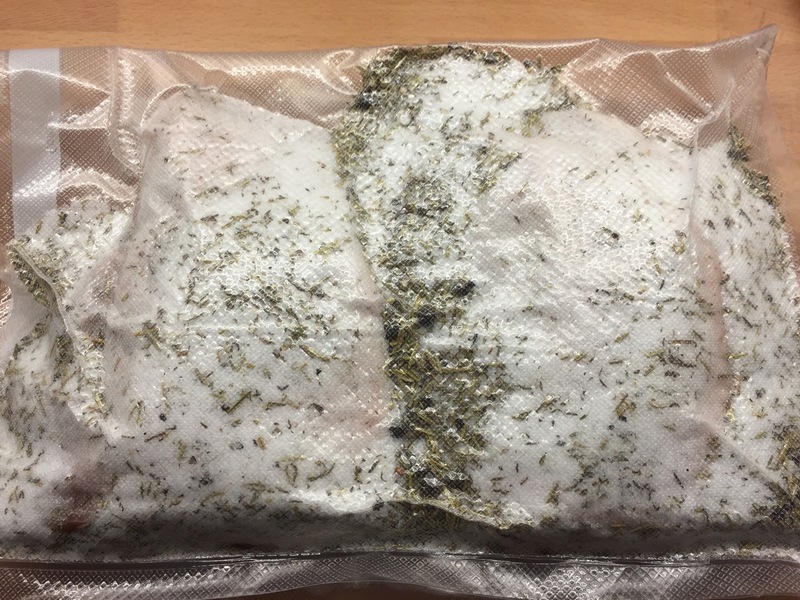 I then packed the breasts in the cure and vacuum packed them, then left them in the fridge to cure for 24 hours. Then I took them out of the cure, washed and dried them and sprinkled them with pepper before wrapping in muslin and hanging to dry in my porch for 8 days. ( there is a wealth of information on the Internet on the best conditions for air drying meat). After eight days the meat was firm but not hard like jerky. 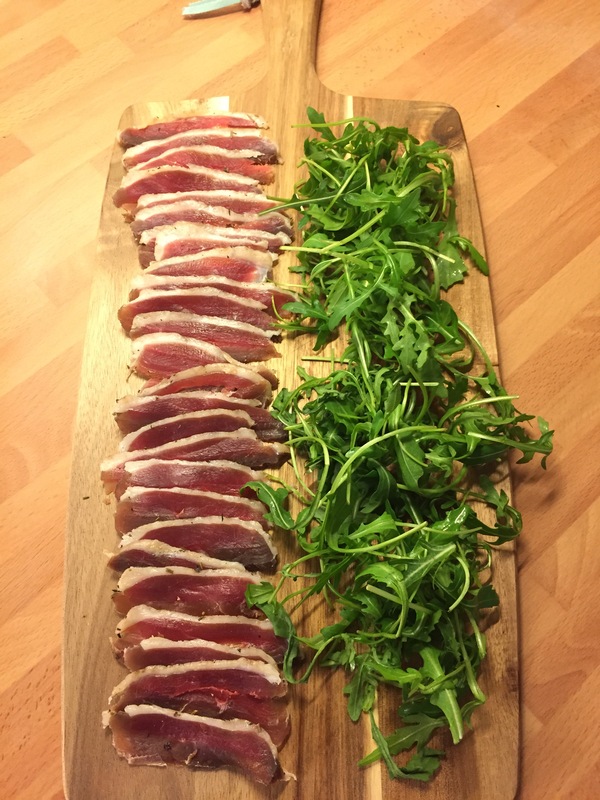 I thinly sliced the duck and enjoyed it with some rocket, olive oil and lemon ( no I didn’t eat all that myself, most of it was vacuum packed ready for friends at work to try) . The texture was very similar to an air dried pork ham but with a slightly gamey edge. 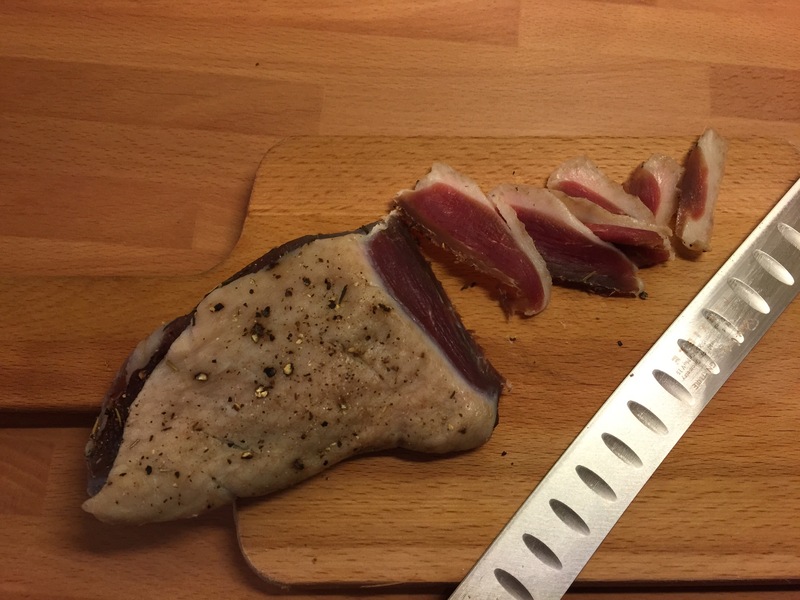 This entry was posted on February 10, 2015 by paulb in DIY Food, Poultry, Preserving.